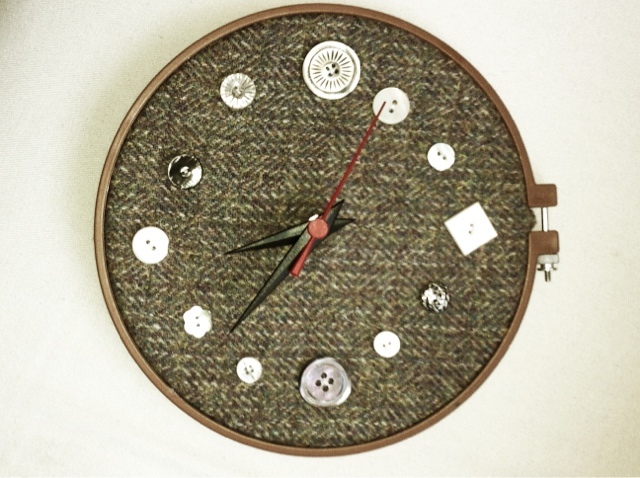 Yesterday i made this button clock inspired by pinterest post that a friend had directed me towards. The site shows lots of crafty (& very different) ideas of how to make use of an old embroidery hoop. I even had to venture into Maplin to get the clock parts but it was worth it!